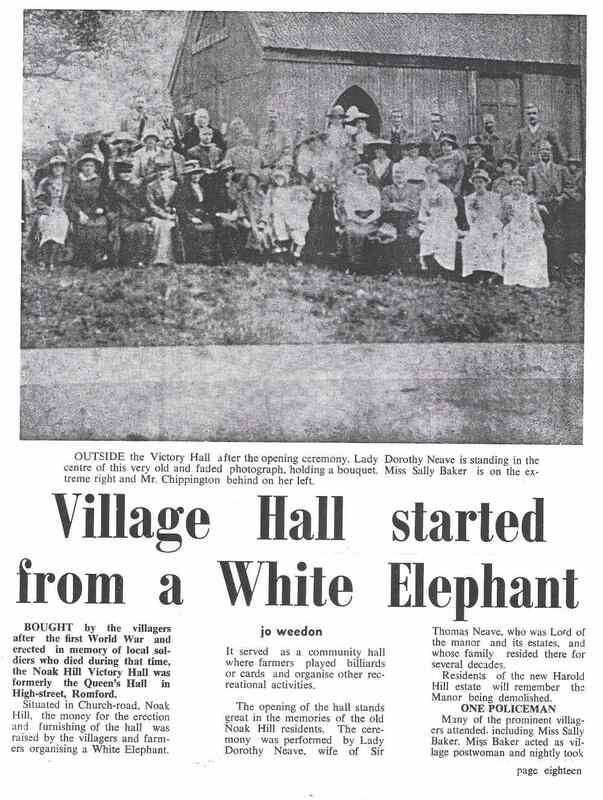 The 2nd Victory Hall in Church Rd opened in 1949 not very far from the original Victory Hall hall which ironically was destroyed by a V2 rocket during the 2nd World War. Photo 1990's. 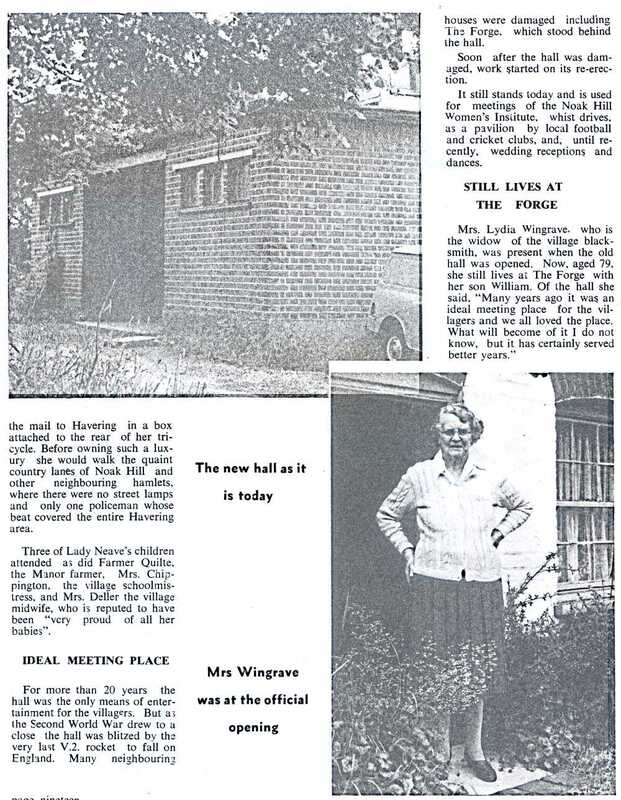 The two pages below are from Volume 5, July/August/September, 1965 of a magazine called Havering Old & New which ran between 1964 to 1966. These are pages 18 and 19. Thanks to Don Tait for the images and info. Women at sale walk out on LCC critic’. 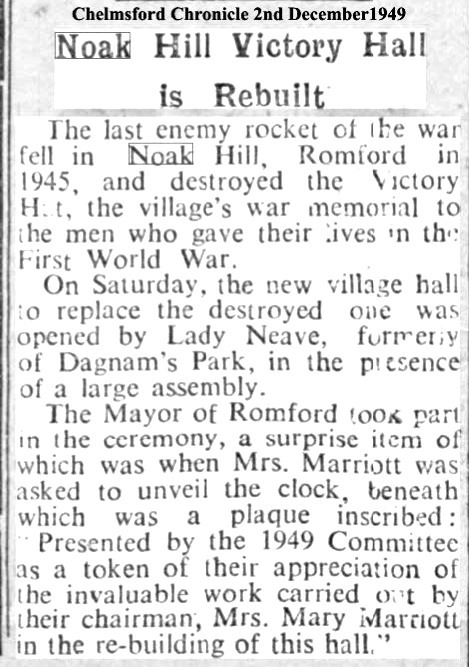 Romford Times, May 28, 1952. Several Harold Hill women who walked out of a church sale at Noak Hill on Thursday, told the Romford Times that they left because they objected to remarks made by Dorina Lady Neave about the mansion where she had lived which had been demolished to make way for the London County Council estate. The furniture at the mansion was auctioned. Her family had lived there for 200 years. Lady Neave was speaking at a bring and buy sale in Noak Hill's Victory hall to raise money for repairs to St. Thomas church. She spoke of her regret at losing her home and criticised the L.C.C. She said she knew nothing of the Council's arrangement to acquire the property until six months later when she heard the news in a wireless broadcast. If I had known earlier, said Lady Neave, I could have thrown a spanner in the works and stopped the whole thing. As it was, I went to Westminster, but it was too late. "Incensed by Lady Neave's comments some Harold Hill women left without buying. Some of the women walked out there and then, not waiting to see Romford's new Mayor, Alderman G. Roberts, open the event. It was his first public meeting function since becoming the Mayor the previous night. Some others waited until the end of the formalities and then left. None of them brought articles from the stalls. The articles sold at the sale were several sent as gifts to Queen Mary, including china ware and a miniature doll. All fetched good prices. Opening the sale, the Mayor said, "The Church is the social centre where everyone meets and knows everyone else. It is the pivot of village life, and without it there would be no village." The church, which was damaged by a rocket falling 200 yards away, demolishing the former village hall, was built by Lady Neave's mother-in-law in 1841. 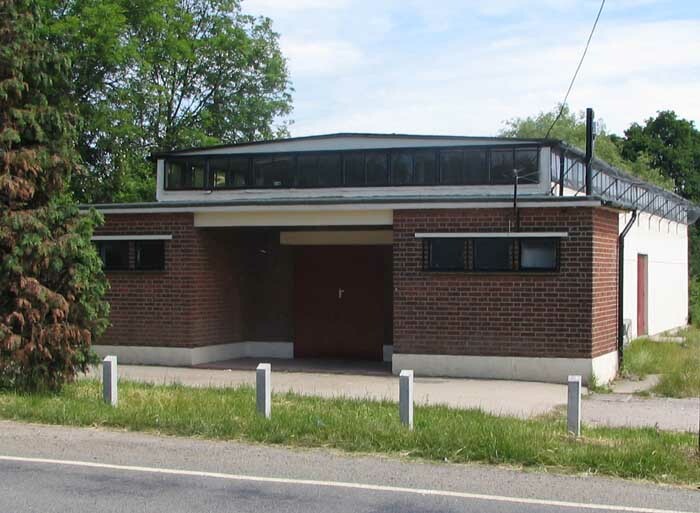 About £300 is needed to repair ceilings, prevent damp spreading and install electricity in the oil-lit building.